As we all gear up for the move next week, we thought it would be a nice idea to share our "work in progress" so you can see our new facility as it takes shape! We took a few pictures back in mid November of the new premises in Luton - progress since has been very rapid as you will see in the next part! The front warehouse section, just past the reception area. The main warehouse space, facing towards the front of the building. Front of the building outside, amazing there was actually a little sun! The goods in/goods out rear doors. Looks like parking won't be too much trouble! The upstairs office space, lots of light. 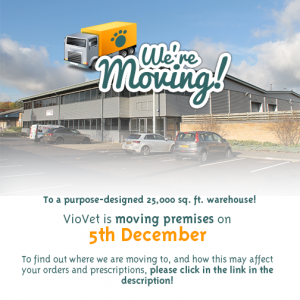 Please remember to read our other blog post about how our move may affect your order, along with details of our new address.